In 1905 Regel became director of the Bureau of Applied Botany. From the very beginning of his joining the Bureau, Regel had been trying to combine the descriptive knowledge of a botanist with practical horticulture and agronomic objectives of the Bureau while also studying cultivated plants. Developing the principles laid down by Batalin and Borodin, Regel introduced his complex approach toward the study of both cultivated and weedy plants. He attempted to apply taxonomic principles to cultivated plants, having linked these principles with the agronomic characters of the crops. That was the feature of his approach that distinguished it from those of foreign researchers. In this respect, Regel can be called the founder of scientifically based applied botany, or applied taxonomy. Setting forth his principle that "applied botany is a special botany of cultivated and field crops and weedy plants", Regel targeted his activities at the development of this section of botanical science. He proceeded from the assumption that: ... not only botanists, but also agronomists, foresters and farmers - whatever agricultural sphere they may be involved in - must be distinctly aware of what plants they are studying, observing or cultivating; otherwise their researches, observations and agricultural practices will inevitably lack a sound foundation. Regel tried to set up the Bureau's work on a purely scientific basis. He deemed that the Bureau should not be preoccupied with popularization and teaching activities, as it would impede the pure scientific research. Regel himself studied barley. Unlike other plant taxonomists, he recognized two species of cultivated barley, Hordeum vulgare and H. distichum. He identified over 54 new constant lines of barley isolated from local populations, which were tested by field planting. Regel discovered barley forms with smooth awns and described them in a monograph. He also started studying the problem of protein content in Russian barley seed and improved the adaptability of six-row winter barley for brewing, so that it could replace the previously used two-row barley from Europe. In 1906, when the Bureau's barley collection and the results of its study were presented at the International Exhibition in Milan, the highest prize (Diploma d'Onore) was awarded to the Bureau of Applied Botany. The results were summarized by Regel in Les orges cultivees de L' Empire Russe. In 1907 there were certain changes in the management of the Ministry of Agriculture. Prince Boris B. Golitzyn, a very energetic and distinguished statesman, was appointed Chairman of the Scientific Committee. Under his leadership and with the direct involvement of the members of the Scientific Committee the plan of reorganization was developed for various bureaux under the control of the Committee The accent was on the practical objectives of their scientific activities which were to receive funding from the state budget. In this respect, the Bureau of Applied Botany in addition to plant genetic resources studies became responsible for the systematic collecting of cultivated, weedy and wild plants in Russia. From this time the statute of the Bureau of Applied Botany was amended by excluding the issues associated with fungus diseases of plants, since an independent Bureau of Mycology and Phytopathology was founded under the directorship of a well-known plant pathologist Professor Artur A. Yachevsky. After 1907 the Bureau's financial status improved to some extent; this enabled Regel to resign from his additional offices and continue his plantings not only at his own estate in the Caucasus, but also in Kursk Province. A qualified agronomist was invited to supervise these plantings. Research responsibilities concerning other crops of applied importance such as wheat, oat, pasture grasses, weeds, sunflower, millet, etc. were distributed bv Regel among new employees. That autumn he gained an opportunity to employ Konstantin A. Flyaksberger for permanent service as his assistant, to whom a studv on Russian wheats was entrusted. Next year Nikolai I. Litvinov and Alexander I. Maltzev were appointed on a permanent basis. Litvinov begun a study on Russian oats, and Maltzev on the field weeds of Russia. In that period the Bureau begun to study pasture grasses. By 1908 the Bureau had at its disposal specialists with high qualification and it became possible for the Bureau to pass from making requests for plant samples to the full-scale implementation of its major objective: the systematic exploration, collecting and detailed studying of cultivated and weedy plants of Russia. During the period of 1908-1909, the St. Petersburg, Kursk, Liflandian , Don and Poltava regions were explored. Collection of plant materials and surveys of these areas was performed with the participation of R. Regel, as Head of the Bureau, A. Maltsev, as an expert in weeds, and K. Flyaksberger, as an expert in wheat diversity. Among foreign guests of the Bureau, Professor N.E. Hansen from the USDA should be mentioned. In 1908 he paid his third visit to the institution in order to familiarize himself with the recent barley introductions. His first visit was devoted to collecting alfalfa in Turkestan, the second one to collecting fruit crops in Siberia, and in 1908 he paid a visit to the Bureau on his way to Persia where he planned to collect forage grasses and alfalfa. In previous years at his request he had been supplied with new barley varieties described by the Bureau. For the purpose of plant collecting, other experts from USDA visited Russia: M. Carlton (1898-1899) to collect wheat and other major cereal samples; S. Knapp and M. Carlton (1900) to collect local varieties of wheat, forage plants and other agricultural crops; and E. Bessy (1902-1914) to collect local alfalfa populations and fruit-bearing species noted for winter hardiness. F. Meyer, a famous plant introduction expert, attached great importance to collecting activities in Russia as a source of local plant diversity. Throughout the 10-year period of 1905-1915 Vavilov explored European and Asiatic (Siberia) regions of the country. In 1909 Regel undertook a tour of European countries. He visited the Berlin Botanical Gardens, the Higher School of Horticulture at Dahlem and the Biological Institute of Agriculture and Forestry in Germany, the Copenhagen Botanical Gardens in Denmark, and while in Sweden, he became acquainted with the Stockholm Botanical Gardens and the Svalof experiment station. Regel's journey allowed the Bureau to strengthen contacts with foreign botanical and breeding institutions as regards exchanges of seed and published materials and to present the Bureau's activities to the fullest extent. That very year, the Bureau of Applied Botany fulfilled several requests for seeds submitted by the Svalof experiment station, the Stockholm Botanical Gardens, the German Seed Growing Association, and experiment stations in Switzerland and Holland. After 1910 the Bureau began to train research fellows in the field of applied botany, barley, wheats, oats and weeds. Among these trainees was a young specialist Nikolai Vavilov. When Flyaksberger came to the Bureau, Regel's dream of publishing a Bulletin of the Bureau for Applied Botany became a reality. The Bulletin focused on the activities of the Bureau, and also contained translations of foreign books and articles. All articles were published with extended summaries in a foreign language. The Supplements to the Bulletin contained monographs by employees of the Bureau. Among the foreign authors were G. Schull, E. Baur, H.C. Fruwirth, G. Mendel, H. Sieben, A. Diels and others. Besides such as wheat, oat, pasture grasses, weeds, sunflower, millet, etc. were distributed bv Regel among new employees. That autumn he gained an opportunity to employ Konstantin A. Flyaksberger for permanent service as his assistant, to whom a studv on Russian wheats was entrusted. Next year Nikolai I. Litvinov and Alexander I. Maltzev were appointed on a permanent basis. Litvinov begun a study on Russian oats, and Maltzev on the field weeds of Russia. In that period the Bureau begun to study pasture grasses. After 1910 the Bureau began to train research fellows in the field of applied botany, barley, wheats, oats and weeds. Among these trainees was a young specialist Nikolai Vavilov. When Flyaksberger came to the Bureau, Regel's dream of publishing a Bulletin of the Bureau for Applied Botany became a reality. The Bulletin focused on the activities of the Bureau, and also contained translations of foreign books and articles. All articles were published with extended summaries in a foreign language. The Supplements to the Bulletin contained monographs by employees of the Bureau. Among the foreign authors were G. Schull, E. Baur, H.C. Fruwirth, G. Mendel, H. Sieben, A. Diels and others. Besides various research materials, the Bulletin published many papers on the methodology of cultivated plant studies. In many respects this increased the popularity of the Bureau in Russia, as well as abroad. The Bulletin was the first in the world to deal with applied botany and cultivated plants. Since 1908 when publication began, its issues have been mailed to breeding and botanical institutions within Russia, as well as to Holland, the USA, Canada, Germany and Sweden. Among private contributors to the Bulletin there were prominent botanists, plant breeders and geneticists of that time such as G. Nilsson-Ehle and A. Atterberg from Sweden; E. Baur, F.A. Koernicke, A. Zade and A. Schuiz from Germany; H.C. Fruwirth from Austria; J. Percival from Britain; A. Thellung from Switzerland; W. Saunders from Canada; L. Trabut from Algeria, etc. In acknowledgement of the Bureau's activities by the scientific community, the 2nd Russian Congress on Breeding and Seed Growing (1912) claimed the Bulletin of the Bureau for Applied Botany to be the central organ to be published in the sphere of applied botany and plant breeding in Russia, and recommended that this publication be renamed Works on Applied Botany and Plant Breeding. Regel had inspired the use of scientifically appropriate initial material for the breeding of plants. This was reflected in the activities of the Bureau, in publications of the Bulletin and in the reports on the Congress of Plant Breeders. It should be noted that in 1908 N.I. Litvinov published Guidelines for Production of Uniform Cereal Plantings during Comparative Botanical Researdi. In this work the author presented a summary of the research of the Bureau and gave the first methodological guidelines for research on botanical diversity of cultivated plants, specially modified for the purposes of applied botany. From 1911, the collections were assembled primarily by means of the direct collecting of seed and plant samples by Bureau staff. Examination of the collected material was conducted at both the Bureau's experimental fields and at the collecting sites. Within the period 1911-1914, collecting of seeds and herbarium samples was carried out in the previously explored St. Petersburg, Liflandian and Kursk Regions, as well as in Moscow, Novgorod, Samara, Voronezh, Perm, Taurida, Kharkov and Kherson Regions. In this period Regel, Maltzev and Flyaksberger were joined by V. Kuznetsov, F. Satsyperov and other researchers of the Bureau as participants in collecting missions. Bv 1912 the Bureau employed seven leading researchers supervising the major crops in Russia, and oil-bearing crops, including sunflower. The expansion of the Bureau's scientific activities required a widening of its provincial experimental network. The Voronezh Branch (in South Russia) in the steppe zone and the Novgorod Branch in the northern forest area, 200 km from St. Petersburg, became the main experimental sites of the Bureau. The Bureau carried out planting on private lands rented for a number of years. In order to identify and test the inheritance of different crop characters, these experimental plots were chosen in regions of extremely different climatic and geographical conditions. By its 20th anniversary in 1914 the Bureau of Applied Botany had become a famous and respected institution in the sphere of crop diversity studies both in Russia and abroad and had its own specific objectives and methods. The Bureau's basic task was to study cultivated crops and useful, weedy or detrimental wild plants of the Russian Empire. Special research projects were conducted on the following agricultural crops: all cereals (wheat, barley, oat, rye, millet, Panicum Sorgfium, rice, etc. ); industrial crops including fibre and oil-bearing plants and others; horticultural crops (cabbage, cucurbits and melons, legumes, root crops, tuber crops, medicinal and aromatic plants, and fruit-bearing plants); as well as wild plants, such as all weeds and pasture plants (grasses, sedges and legumes). This research was performed by applying scientifically precise methods including detailed studies of the scientific literature for the subject under investigation. By 1914 the Bureau's collections had been greatly enlarged by accumulating the germplasm requested and shipped from various farms in Russia and by the collecting missions of the Bureau's researchers. In 1914 the major collection contained: wheat, 4100 accessions; barley, over 2900; oat, over 1000; rye, about 400; pasture grasses, about 500; sunflower, more than 450; weeds, over 1000; the carpological collection, more than 1000 seed samples, and other plants, over 2000 accessions. All in all, there were 14 000 accessions. The Bureau's herbarium contained more than 10000 specimens collected in different provinces of Russia. At this time, the Bureau's basic priorities were to determine the composition of local varieties, their taxonomic names and geographic areas of distribution. The most important practical result of these activities was collecting, identification and description of the diversity of plant varieties cultivated in the Russian Empire, which helped to restore the diversity of cereal varieties and populations (in particular barley) that had been lost during devastating droughts in the Volga basin. All the above-mentioned crops were described in terms of the composition of local populations with respect to the races, forms and species present. The Bureau's study of most of these crops resulted in identifying the inherited morphological and agronomic characters, performing crosses and understanding the genetical basis of diversity of some of the crops along Mendelian lines. Complex examination of these collections led to the development of taxonomic systems in several major crops, generated from the data acquired by studying the heritabilitv of morphological, anatomical, cytological, biochemical, immunity and agronomical characters. When World War I started the Bureau suffered a decline in its activities. 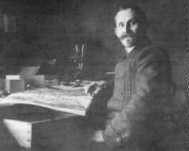 Many Bureau workers joined the Army, the funding was reduced both in the Bureau's headquarters in Petrograd and in its provincial branches, but the Bureau continued its scientific research. Different aspects of various crops were studied at both the Bureau's branches and the central facility. The Bureau continued publishing the results of its research on different collections. For example, a paper by A. Maltzev entitled On the development of wild and weedy oats appeared in 1914, K.A. Flyaksberger's Identification of wheats and Wheat varieties in Siberia and N. Litvinov's On Puccinia glumarum incidence in spring wheats in Kamennaya Steppe in 1914 in the following year, A. Maltzev's Weeds in the governate of Novgorod and F. Satziperov's Tlie hybridization of Helianthus annus L. x H. agrophyllus A. Gray. 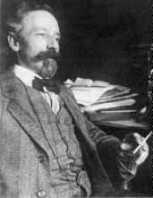 in 1916, and R. Regel's On species formation and Vavilov 's On the origin of the cultivated rye in 1917. In 1916 the Bureau of Applied Botany was renamed the Department of Applied Botany and Plant Breeding. At the end of 1917 Vavilov was recommended by R. Regel, K.A. Flyaksberger and A. Maltzev to be promoted to the position of Assistant Head of the Bureau. Vavilov attributed major importance to the activities of the Bureau and especially to Regel, Head and actual reorganizer of the institution. In one of his letters of 1924, Vavilov wrote: Applied botany as a separate field of science that deals with cultivated plants has been introduced into Russia by Robert Regel. Before him, this trend was developed by Batalin and Koernuke, but the latter has left Russia and transferred his research to Germany. The greatest merit of Regel is that having started the work all alone in his study, he developed it to such extent, that at present applied botany has become widely practiced and is considered a scientific field of paramount importance at all experiment and breeding institutions in Russia. R. Regel not only devoted all his life to this science, but also involved quite a scientific force and many practical workers. The Bureau of Applied Botany established by him has been transformed into the Department of Applied Botany and Breeding at the State Institute of Experimental Agronomy, which is known throughout the world. The journal Works on Applied Botany and Breeding founded by Regel is the only one that deals with this field of agricultural knowledge. Regel was the permanent head of the Department until his sudden death in 1920 of typhoid caught while on a business trip to Moscow. In 1920, following Regel's death, N.I. Vavilov was elected Head of the Bureau of Applied Botany. Thus, 1920 marks the end of the first stage in the formation and development of the Department as an institution involved in collecting, studying and conserving plant resources.